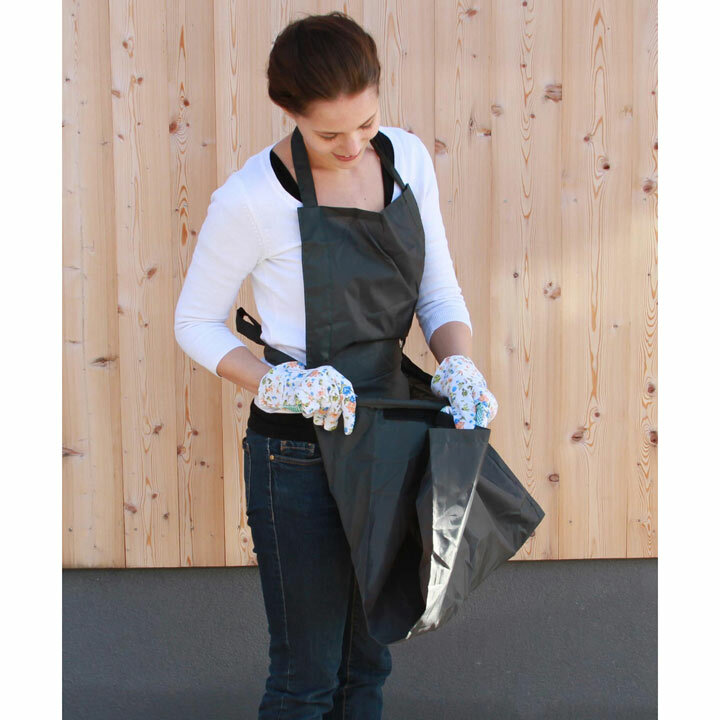 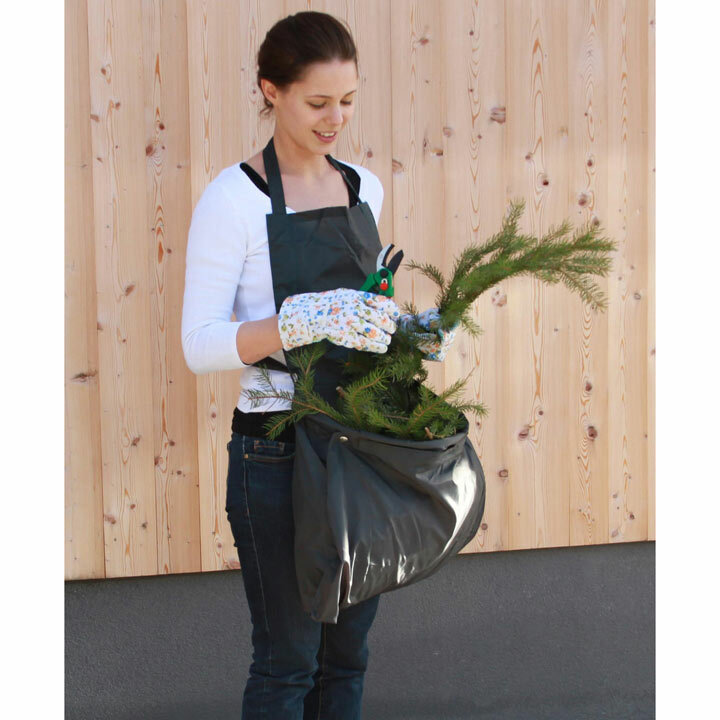 The extra-large front pocket on this apron leaves your hands free to gather waste without having to carry a container. 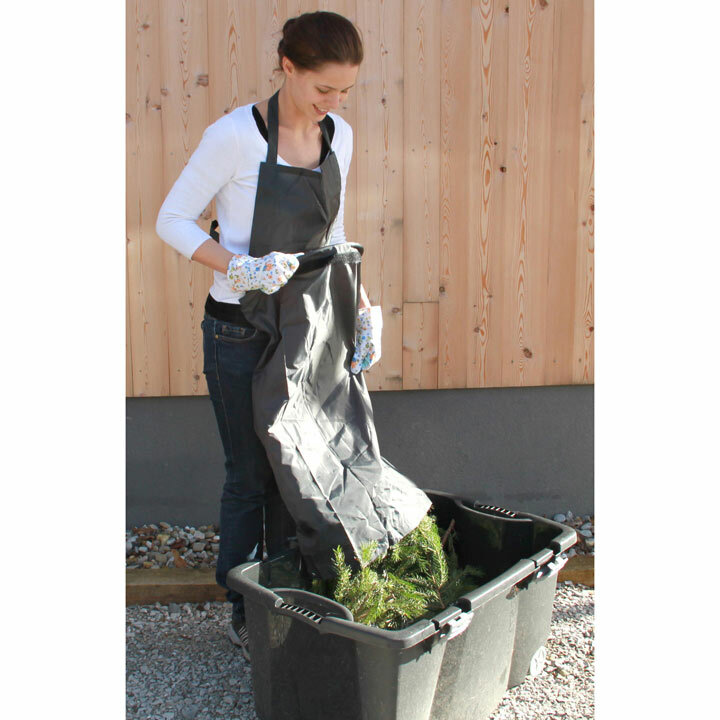 For easy access, the pocket is held open to a 23cm radius by an integral polypropylene hoop, and unfolds to a long chute to funnel waste directly into a compost pile or bin. 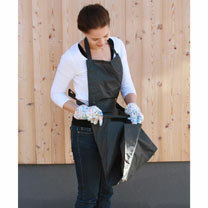 With a bib to protect your clothes during those mucky jobs, the nylon apron can be quickly hosed off.